a. The measurement is free from the root canal environment. Therefore, whether the root canal is dry, or filled with electrolyte, blood or physiological brine will not affect the measuring result. b. The measurement is free from the thickness of the file. 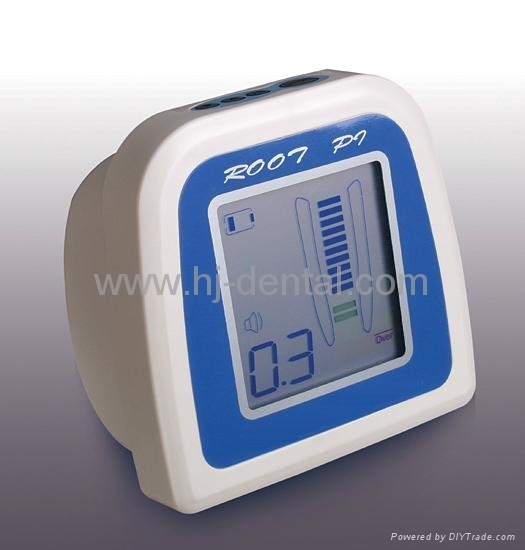 c. The LCD screen legibly and visually displays the depth of the root-canal file putting into the tooth. d. When measuring, the changes of the sound can indicate the position of the file in the root-canal. e. This power of the machine is supplied with NO. 7 dry battery. For the depletion of electricity power is low, the meter can be used for long.